Geoffroi de Rancon's long life mirrored that of others of the feudal caste during the twelfth and thirteenth centuries as the French monarchy reasserted its authority in Aquitaine and the power of the English Plantagenet kings weakened. De Rancon's forebears were great feudators with substantial demesnes across the Saintonge, La Marche and Poitou; so powerful were this family that they were known as Princes of Marcillac. This work examines the two hypotheses about the origins of the de Rancon family whether they came from Rancogne in the Angoumois or Rancon in Haute Vienne, traces briefly the ancestors of Geoffroi IV, describes his family, wives, children and grandchildren, his early life and education and his way of life, attempts to establish the size of his domesnes and number of his chateaux and evaluates his contribution to the emergence of the modern nation of France by the part he played at the Battle of Taillebourg 1242. The work draws on the contemporary account of Jean de Joinville and the work of other distinguished historians of the nineteenth century and later including the esteemed medievalist Sidney Painter. 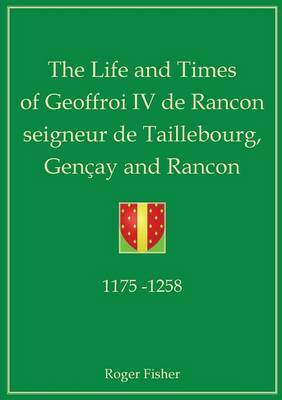 It is hoped that this work contributes to a better understanding of the medieval seigneur and Geoffroi de Rancon in particular.